A paper consists of a constellation of artifacts that extend beyond the document itself: software, mechanized proofs, models, test suites, benchmarks, and so on. In some cases, the quality of these artifacts is as important as that of the document itself, yet our conferences offer no formal means to submit and evaluate anything but the paper. To address this, POPL has run an optional artifact evaluation process since POPL 2015, inspired by similar efforts in our community. Our hope is that eventually, the assessment of a paper’s accompanying artifacts will guide the decision-making about papers: that is, the AEC would inform and advise the Program Committee (PC). This would, however, represent a radical shift in our conference evaluation processes; we would rather proceed gradually. Thus, in our process, artifact evaluation is optional, and authors choose to undergo evaluation only after their paper has been conditionally accepted. Nonetheless, feedback from the Artifact Evaluation Committee can help improve the both the final version of the paper and any publicly released artifacts. The same bundle can be distributed to third-parties. However, creating a bundle that meets all these properties can be onerous. Therefore, the process we describe below does not require an artifact to have all these properties. It offers a route to evaluation that confers fewer benefits for vastly less effort. To maintain a wall of separation between paper review and the artifacts, authors will be asked to submit their artifacts only after their papers have been conditionally accepted. Of course, they can (and should!) prepare their artifacts well in advance, and can provide the artifacts to the PC via supplemental materials, as many authors already do. After artifact submission, the AEC will download and install the artifact (where relevant), and evaluate it. Since we anticipate small glitches with installation and use, reviewers may communicate with authors to help resolve glitches while preserving reviewer anonymity. With the help of Eddie Kohler, we have set up HotCRP so that reviewers can ask questions while preserving their anonymity and get immediate answers from the (non-anonymous) authors directly from the HotCRP interface. The AEC will complete its evaluation and notify authors of the outcome. There is approximately one week between feedback from the AEC and the deadline for the camera ready versions of accepted papers. This is intended to allow authors sufficient time to include the feedback from the AEC as they deem fit. 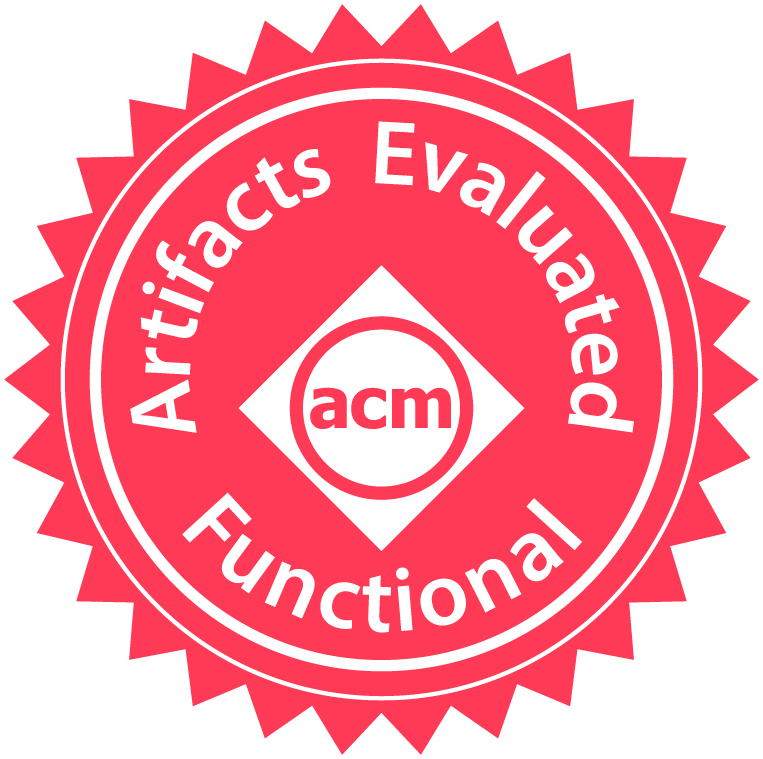 For the camera ready version the ACM will add their “Artifacts Evaluated - ReusableFunctional” badge to papers whose artifacts are evaluated to “meet expectations”. 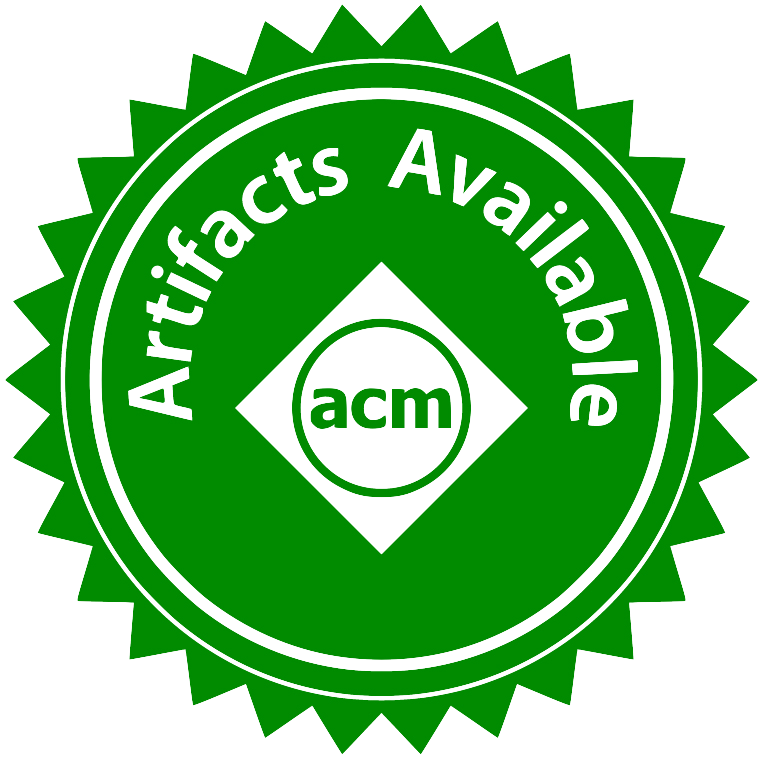 For papers that pass artifact evaluation and where the authors also make their artifacts publicly available eternally on ACM DL the ACM will additionally add their “Artifacts Available” badge. The ACM assures us that such artifacts will be available in perpetuity for free to anyone, without any paywall. Finally, the PC Chair’s report will include a brief discussion of the artifact evaluation process. Since POPL 2017 the AEC has decided to not accept paper proofs in the artifact evaluation process. The AEC lacks the time and often the expertise to carefully review paper proofs. We hope that reserving the artifact evaluated badge to mechanized proofs that are easy to check and reuse will incentivize more of the POPL authors to mechanize their metatheory in a proof assistant. While we encourage open research, submission of an artifact does not contain tacit permission to make its content public. AEC members will be instructed that they may not publicize any part of your artifact during or after completing evaluation, nor retain any part of it after evaluation. Thus, you are free to include models, data files, proprietary binaries, etc. in your artifact. The AEC will consist of about 25-30 members. We intend for members to be a combination of senior graduate students, postdocs, and researchers, identified with the help of the POPL Program Committee. Qualified graduate students are often in a much better position than many researchers to handle the diversity of systems expectations we will encounter. In addition, these graduate students represent the future of the community, so involving them in this process early will help push this process forward. However, participation in the AEC can provide useful insight into both the value of artifacts, the process of artifact evaluation, and help establish community norms for artifacts. We therefore seek to include a broad cross-section of the POPL community on the AEC. After your paper has been conditionally accepted, please check the Artifact Submission Guidelines go to https://popl18aec.hotcrp.com to register an artifact. For registering your artifact, please submit the abstract and PDF of your accepted POPL 2018 paper, as well as topics, conflicts, and any “bidding instructions” for the potential reviewers. For finalizing your artifact, please provide a stable URL or if that is not possible upload an archive of your artifact. You will no longer be able to change these after the artifact finalization deadline. By the registration deadline, please submit the abstract and PDF of your accepted POPL 2018 paper, as well as topics, conflicts, and any “optional bidding instructions” for the potential reviewers. https://popl18aec.hotcrp.com/. By the artifact finalization, please provide a stable URL or if that is not possible upload an archive of your artifact. You will no longer be able to change these after the artifact finalization deadline. For your artifact to be considered you also need to check the “ready for review” box before the finalization deadline. The committee will read your accepted paper before evaluating the artifact. But, it is quite likely that the artifact needs more documentation to use. In particular, please make concrete what claims you are making of the artifact, if these differ from the expectations set up by the paper. This is a place where you can tell us about difficulties we might encounter in using the artifact, or its maturity relative to the content of the paper. We are still going to evaluate the artifact relative to the paper, but this helps set expectations up front, especially in cases that might frustrate the reviewers without prior notice. The artifact submissions are not anonymous. The reviewers will see the authors for each artifact from the start. So don’t waste your time trying to hide the artifact authors. Remember that the AEC is attempting to determine whether the artifact meets the expectations set by the paper. (The instructions to the committee are available here.) If possible, package your artifact to help the committee easily evaluate this. If you have any questions about how best to package your artifact, please don’t hesitate to contact the AEC chairs, at popl18aec-chairs@cs.cmu.edu. The only real rubric is what’s on the review form. Every artifact is different and a more fine-grained rubric wouldn’t make sense. This is not a completely objective process and that’s okay. We want to know if the artifact meets your expectations as a researcher. Does something in the artifact annoy you or delight you? You should say so in your review. Note that while the ideal may be replicability (i.e., obtaining the same results using the authors’ artifact), there are many reasons why we as a committee may be unable to replicate the results yet still deem the artifact as meeting expectations. For example, it may be difficult or impossible for the authors to provide a bundled artifact that allows replication.